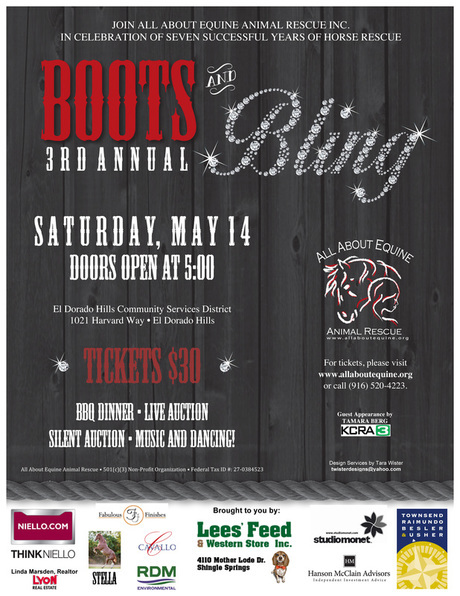 Join All About Equine Animal Rescue Inc.
for its 3rd Annual Boots & Bling! Boots & Bling ​may be SOLD OUT! ​, Please send an email to BandB@allaboutequiine.org and include the names of guests that would like to attend. We will add you to our wait list as we work hard to add more seats.